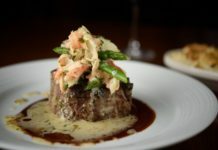 SMALL BITE: Literally, that’s what Eno Vino specializes in — small bites! It is one of the newest hot spots in downtown Madison, featuring tapas-style dishes. (Waiters recommend ordering two to three dishes per person.) 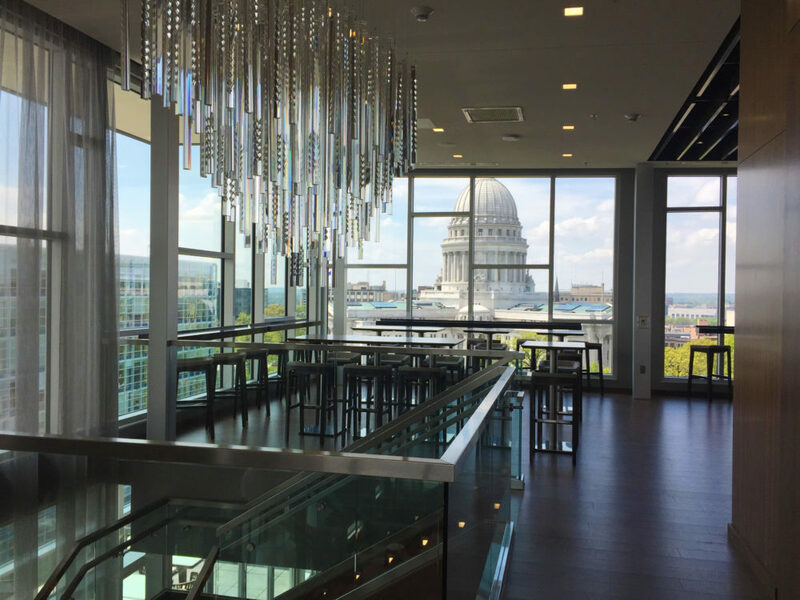 It is both a wine bar and a bistro – and it has THE.MOST.AMAZING.VIEW of the Wisconsin state capitol! 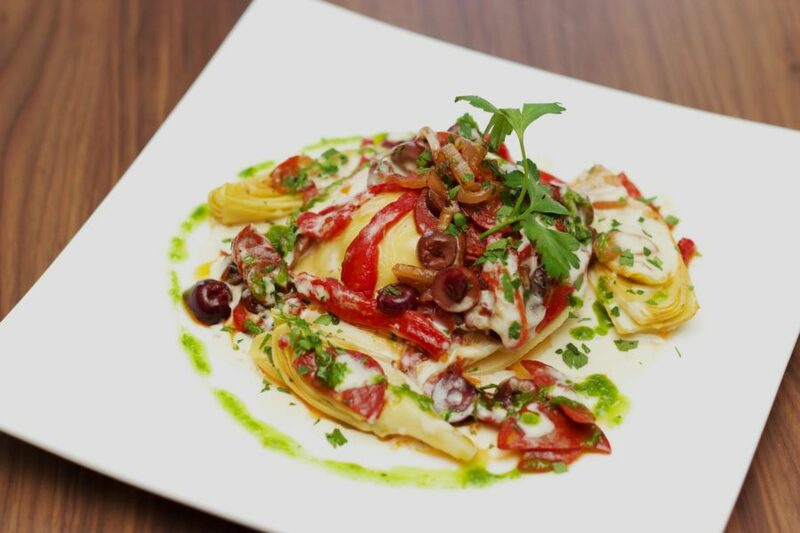 SIGNATURE DISHES: Eno Vino is known for its small plates, or tapas-style food. 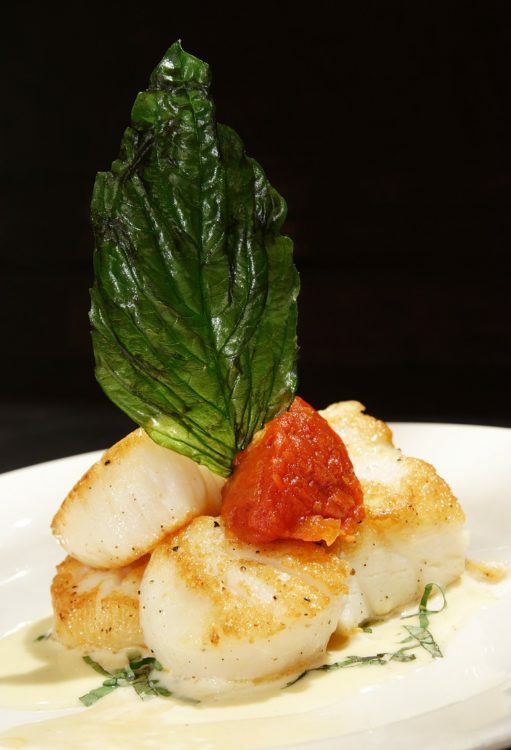 Seafood, pasta, steaks … you’ll find all your favorites served in smaller portions. 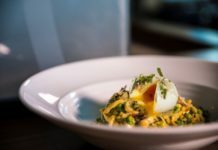 Standout dishes include Seared Scallops, Pork Tacos, Chicken Lollipops and of course, their very popular Flatbreads, cooked in a hearth oven. 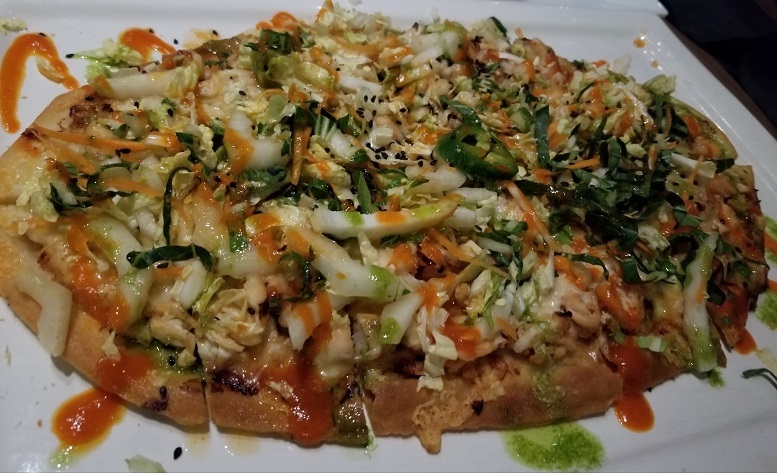 “Our flatbreads are about the size of my torso,” said one waiter (see below). House bread delivered to every table is made fresh, onsite. 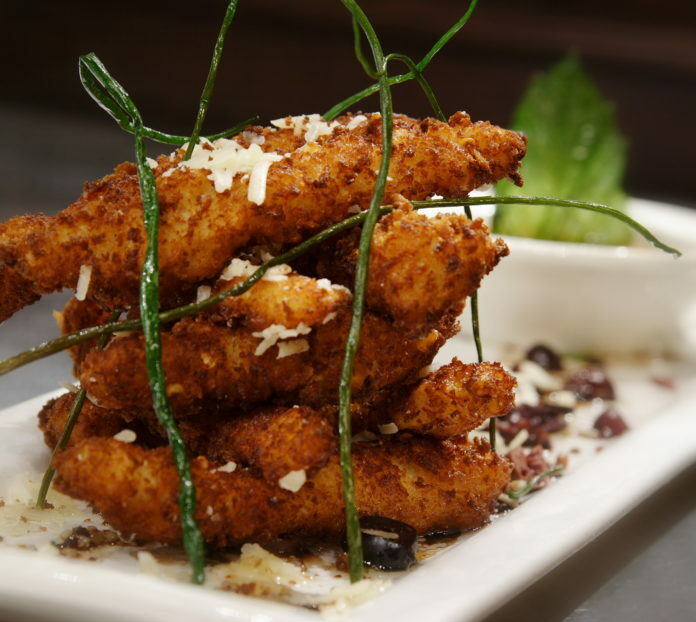 FOOD FOR THOUGHT: Eno Vino has a second location on the west side of Madison. 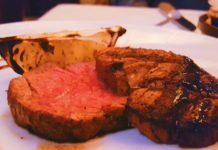 Diners with food sensitivities will be pleased to know the restaurant offers a separate, gluten-free menu to make ordering super easy. Best of all, you can rent a PRIVATE wine locker onsite! Your private wine locker membership includes invitations to exclusive wine tastings and discounted prices from Eno Vino‘s wine vendors. Also, rumor has it that this restaurant has THE BEST bathrooms in Madison! 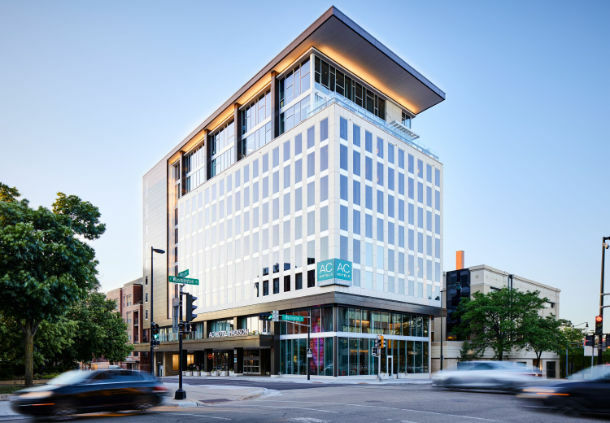 HOURS: Open Daily at 4:00 p.m.
Bar Menu: Sunday through Thursday until midnight; Friday and Saturday to 1:00 a.m.
ABOUT AC HOTEL MADISON DOWNTOWN: Marriott’s new hotel concept was created in Spain and caters to busy guests looking for comfort, simplicity and respite. 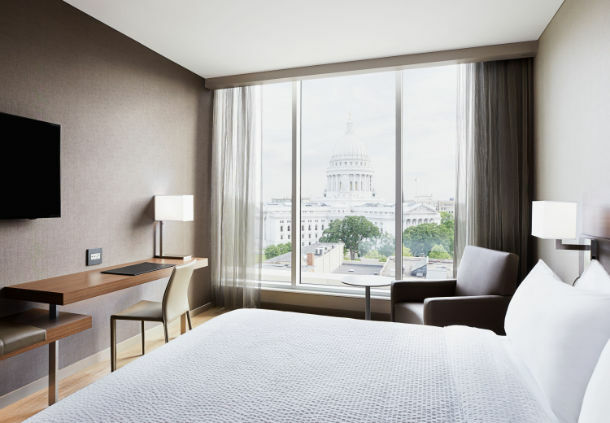 European-style amenities include glass-enclosed showers, sleek designs, plush bedding and free high-speed Internet. A fitness center is also onsite, and guests are welcome to use the hotel’s free airport shuttle. 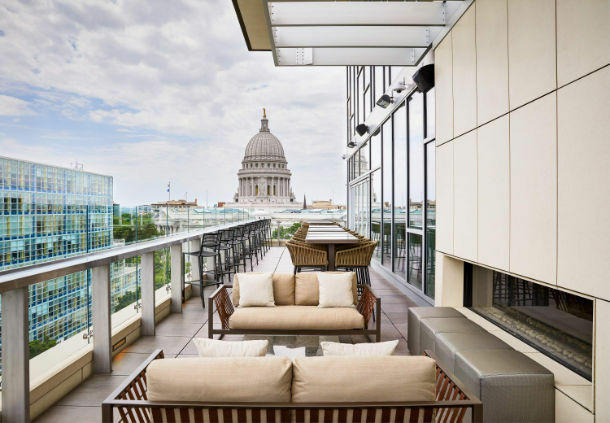 The downtown location is within easy walking distance to many popular Madison venues, including the Overture Center, State Capitol and the University of Wisconsin-Madison campus.